We made these for dinner the other night, and delicious does not even begin to describe them! Just the fact that they were fried was good enough for me, since being gluten free forbids me from devouring fried crunchy goodness. While it's great for the waistline, a little juicy fried crunch is good for the soul! Plus, the sauce? Absolutely heavenly. It has the most delicious blend of avocado and lime, with a slight tang of the sour cream. We ate the left over sauce on everything and it was just as yummy! Place fish strips in breading bowl first. It will help the egg cling to it. Make sure the strip is coated. Transfer fish from breading bowl into egg bowl, coating completely. Return to breading bowl and coat completely. Repeat Steps 4 and 5 until the coating is your desired thickness. We did 2 or 3. Repeat for all fish strips. Mix all ingredients in a small food processor. Add salt and pepper to taste. If you do not have a food processor- mash avocados, chop cilantro and jalapeno, mix thoroughly until the sauce has a smooth consistency. 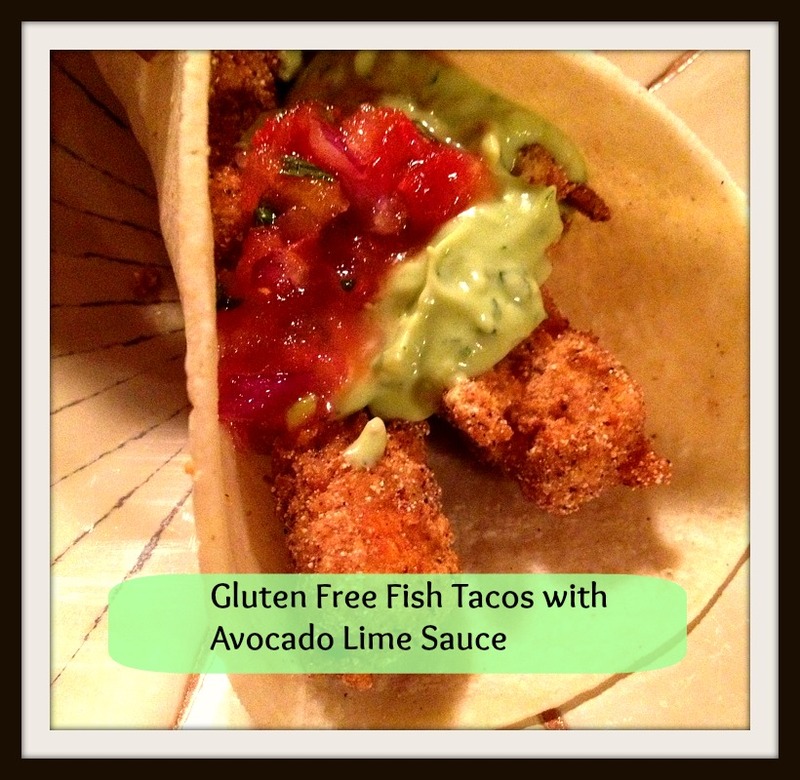 Place fish strips in the corn tortilla, top with sauce and salsa (optional) and enjoy! YUM! My husband would love this. Do you think it would be okay if I immediately left work to go make this?!!? ;) Anything with avocado and lime is good with mee! !